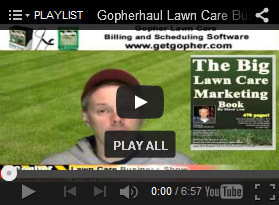 « Tips to creating a successful lawn care business logo. 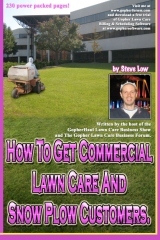 Here is some great insight shared with us on the Gopher Lawn Care Business Forum about the lawn care marketing strategies and responses an entrepreneur found. If there is one lesson to be learned from it, you never know what kind of response you will get until you try, and try, and try again. The more he tried, the more customers he got! 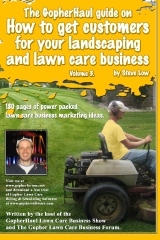 One lawn care business owner wrote “I placed an ad on craigslist with all my services. I got no calls for two weeks. I thought to myself, no calls, not doing so well. So I then placed 125 flyers out around the neighborhood a customer lives in after she gave me a tip that 90% of the yards have not been touched for leaf removal yet. One day after putting out the ads, I got one call from the flyers for leaf removal, and one call from craigslist for snow removal. I drove on over to give them a price. The leaf removal customer said yes to leaf removal, snow removal for the winter, and lawn care for next year. 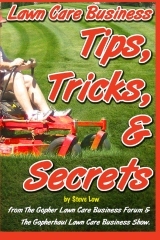 The snow removal customer said yes to leaf removal and lawn service for next summer, hedge and shrub trimming, fertilizing, plus anything I can do to get the yard up to par as the yard has been neglected since her husband passed away. 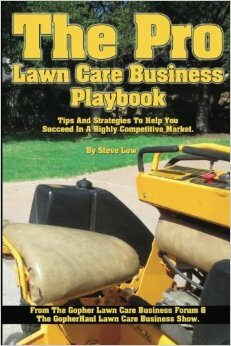 In our conversation, she told she knew lawn care companies existed, just never thought to call any of them. 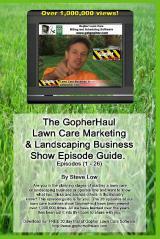 My ad on craigslist wasn’t just plain text, it uses HTML to post a flyer with full color attention getting graphics. It had almost 500 views and I received one call! I don’t know if that’s a good average or not. I figure quite a few of the 500 views are my competition. Only time will tell on that and it’s free so no need to take it down no matter what the averages are. With the flyers, I only handed out 125 of them and by day two I got another call and an email asking about planting flowers in the spring. I am starting to think this was a success. When I handed out my flyers, I used various methods to attach them to doors. 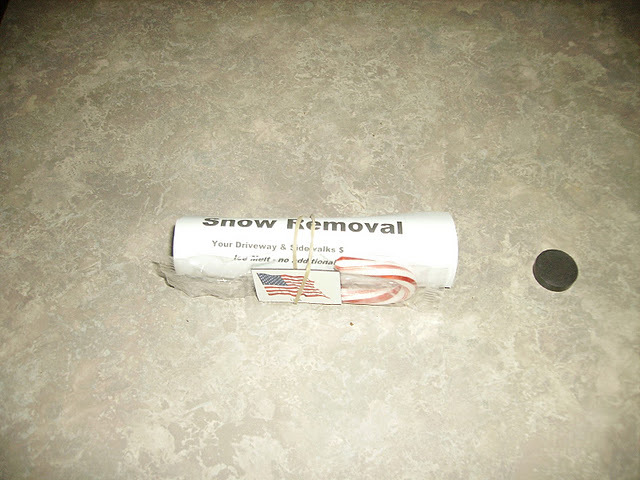 I used magnets for metal doors, a small US Flag sticker on them to attach to other doors, and rubber bands for non metal doors but wrapped the magnet in with the rubber band. I figure if a customer is going to keep the flyer beyond the initial read it’s useful if it’s hanging where they repeatedly see it other than in a pile of papers. If it snows, or time gets away from them and the lawn is still covered in leaves, the customer might think ‘where is that flyer?’ It’s either up on the fridge or in a pile of papers. Why not attempt to better the odds and get it hanging somewhere? I have a couple food fliers on my fridge, and the magnets they used are keeping them there. Not only that, the magnets got me to ask my wife where we got them. That’s where I got the idea. 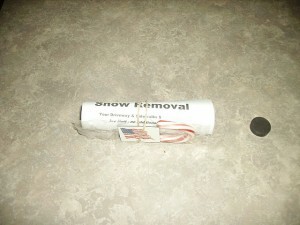 I have 200 more fliers to hand out for snow removal. Each of the fliers lists all my services as well, but ‘Snow Removal’ is in bold at the top. With this new set I’m attaching a small candy cane to each flyer and the magnets will have a little Christmas wreath sticker on them. While handing out the flyers, I would also take a homeowner’s empty trashcans or recycle bins back up to the house. I smiled and waved at everyone I saw and of course handed them the flyer personally. We even gave a flyer to a ‘no solicitors’ house. The house had a no solicitor sign so we turned and walked away, the home owner came out saw we didn’t leave a flyer and actually thanked us and asked what we do. The magnets I used for the flyers are 1 inch by 2 inches. Another idea I may try in the future instead of the flags or Christmas wreaths I might just get some blank stickers and print my business name & number on them. 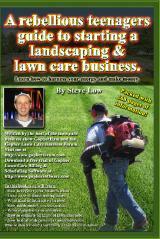 Within a week of putting out my flyers, I received another 5 calls for leaf removal and 6 for snow removal. I got a ‘yes’ on 3 snow removals, and am bidding the other 3 tomorrow. I picked up 2 more leaf removal jobs from the craigslist and got a third through a friend of the family. Next I will hit a secondary area with flyers, then post a yard sign a few weeks later at the front of the neighborhood, or on a phone pole or stop sign, and drive through each area with the magnetic signs on my truck. 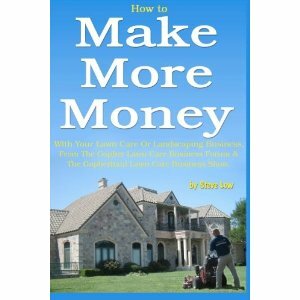 In the area that I got the new clients, I am going to hit their area with fliers again. Then hit them one more time in a month or so. 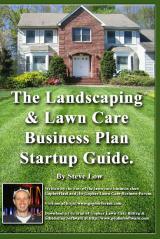 Then I will change my flyer to promote lawn service as the primary topic instead of snow removal, but put snow removal in the services offered area, and hit the area again. 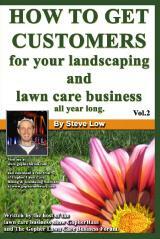 I will keep at this and keep the marketing message focused on seasonal services. After the holidays I am going to get an ad running in the local newspapers as well. 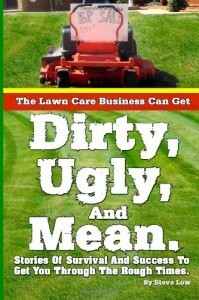 A second lawn care business owner said “Great job! 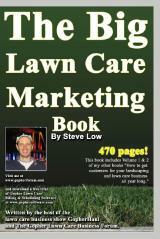 Small businesses have to be committed and just keep advertising. If you really want your business to be successful, you’ve got to make getting and keeping customers your number one priority. When was the last time you heard of a company going out of business because they had too many happy, satisfied customers buying from them? And that’s where marketing comes in. 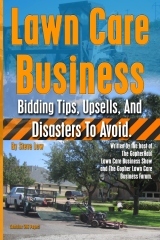 Letting others know about what you have in such a way that they are compelled… nearly forced to find out more and then, ultimately, to buy the products and services from you, and not from your competitors. Get a better understanding of who your customers are and find better ways to reach them using an advertising mix. 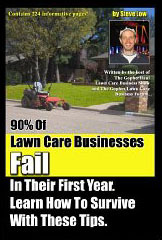 This entry was posted on Wednesday, July 8th, 2015 at 2:06 pm	and is filed under Free Lawn Care Flyer Template, How to get, How to sell, Lawn Care Business, Lawn Care Customers, Lawn Care Marketing, Marketing, Residential Customers, Snow plowing, door to door, leaf clean up. You can follow any responses to this entry through the RSS 2.0 feed. You can leave a response, or trackback from your own site.